We are working with our developer to optimize compatibility with future Mac Operating Systems. Please check back for any available updates. 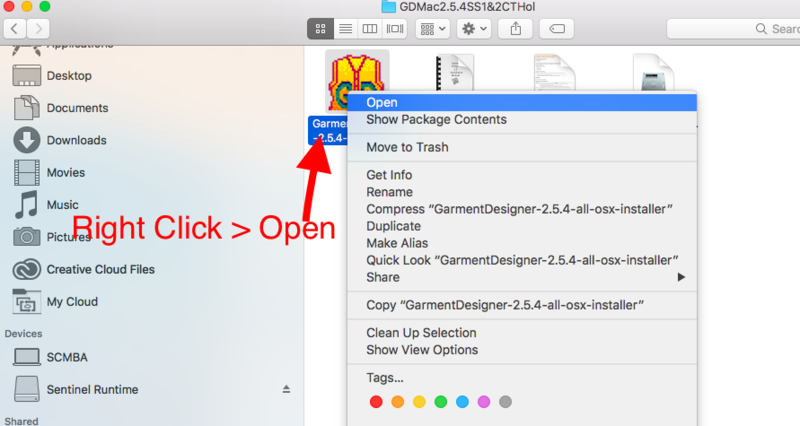 If you currently own Garment Designer Version 2.5 – 2.5.2 for Windows or 2.5 – 2.5.3 for Mac please contact Info@cochenille.com with the name you registered your software with, Garment Designer Serial Number & HASP Key ID for a courtesy update to the most current version of the software. You must provide this information to receive an update. 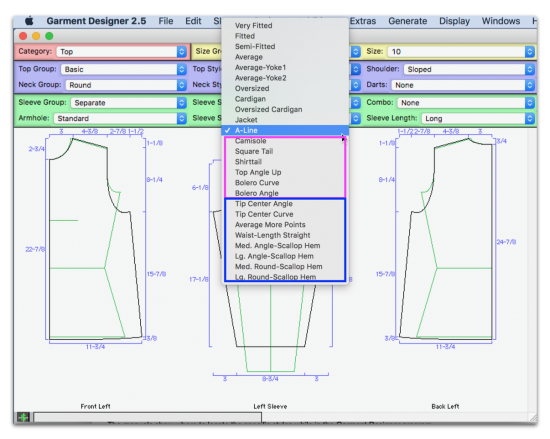 If you have an older version of Garment Designer, such as version 2.0, you will need to purchase an upgrade. You must provide your Garment Designer Serial number in the notes section for your upgrade order to be processed. If you currently own Stitch Painter 3 for Mac, please contact Info@cochenille.com with the name you registered your software with, Stitch Painter Serial Number and HASP Key ID for a courtesy update to the most current version of the software (version 3.1). If you have an older version of Stitch Painter, such as Stitch Painter 2, you will need to purchase an upgrade. Please provide your Stitch Painter Serial number in the notes section for your upgrade order to be processed. If your computer is having trouble recognizing your HASP key or the light does not come on when plugged in, please update/install the most current driver by following the instructions below. Often when your computer’s Operating System is updated, the compatibility can be lost between your computer and the USB HASP Key driver. If you update your OS, it is always a good idea to update your HASP key Driver. If you are trying to access the Garment Designer program and receiving an ‘error 33’ message or ‘H0009’ this is a driver communication error. This means the driver for your HASP key has either not been installed, did not install correctly or needs to be updated. Please make sure to have the USB HASP key unplugged when installing the driver. 1. Unplug your USB HASP key and ensure you do not have any security settings or antivirus software enabled that would block the download and installation of the driver. 2. Click on the link to download the latest HASP Key Driver installer. Note that you must have browser pop-ups disabled for the download to begin. 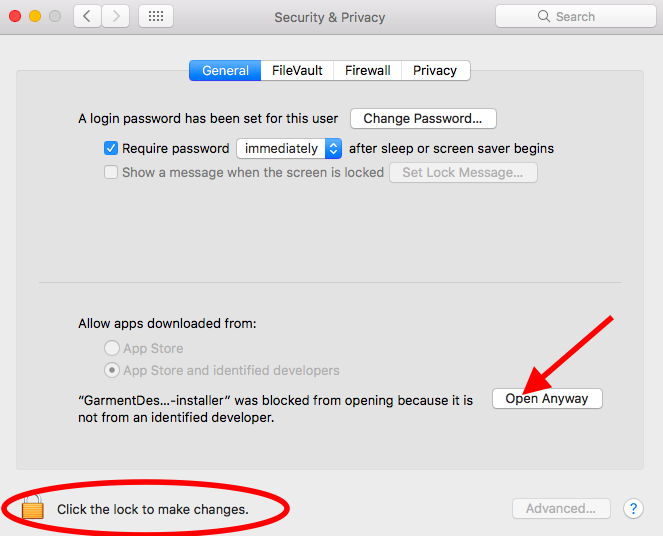 and select ‘Sentinel HASP LDK Mac OS X Run-time GUI Installation’ or ‘Sentinel HASP LDK – Windows GUI Run-time Installer’ to download the installer file for the HASP driver. 3. Once you open the link on your web browser, scroll to the bottom of the website page and click ‘I accept’. 4. Click on the link provided to download the installer file. Note that you must have browser pop-ups enabled for the download to begin. 5. Once you have downloaded the zipped file, it will be sent to your downloads folder. The unzipped or expanded file name will be Sentinel_Runtime.dmg for Mac and HASPUserSetup.exe for Windows. 7. After the installation is complete, restart your computer. 8. Plug your HASP key in, wait for the light to turn on and then Open Garment Designer. We suggest waiting a few minutes after restart before plugging in the key, as some computers will not recognizes the changes right away. The USB HASP key will need to be plugged in during software use. It does not have to be ‘ejected’ when you disconnect it. We recommend attaching a keychain to the key for easy location, remember losing it will lose access to the program. Please view the following video to see how to update your Hasp key driver. Some of you might have difficulty doing this which may be dependent upon your computer security settings. Does the HASP Key have to be plugged in? Cochenille software uses a USB HASP key for software protection, also referred to as a dongle. This key will need to be plugged into your computer during software use. This key does not install or contain the program itself. To install the program please use the DVD provided with your purchase. If you do not have a disk drive, contact us at info@cochenille.com for a digital download link. You must provide your program serial number and HASP key ID for a digital download. How do I find my HASP key ID (HID#)? The HASP key ID number would be on the back of your DVD case. Alternatively, you can plug in your USB HASP key into your computer and open the following link on your web browser: http://localhost:1947/_int_/devices.html . This will take you to an Admin page with the information about your Hasp Key. If this page lands on an error page, you must update or install your HASP key driver to view. Does your software come with a manual? The software manuals are an invaluable resource we provide to aid our users while learning our software. We highly suggest our users read the manuals in order to use our software to it’s fullest potential. These manuals can be downloaded to a smartphone or tablet for viewing while working with the program. There is also an ‘abridged’ version of the manual if you go to the ‘Help’ menu option while in the program. I don’t have a disk drive, can I download the software? If you do not have a disk drive and would like to purchase our software, please contact us at info@cochenille.com for instructions on how to receive a downloadable version. Our software will still require a USB port in order to plug in the USB security HASP key. The key allows permission to operate the program and must be shipped in order to access the program itself. Alternatively, you can insert your program DVD on any computer with a disk drive to transfer the installer files to a USB storage drive. You can then use the file on the USB storage drive to install on the computer with no disk drive. If you find any demos or free trials available on other websites, these are not authorized demos by Cochenille Design Studio and downloading them may potentially be harmful to your computer. Does Garment Designer export vector files? Garment Designer does not export pattern files to vector or CAD formats. It is able to output pattern files into a .PDF format to be printed in whatever size the user chooses under ‘Page Setup’ in the File menu. As a work-around, users can save their pattern as a .PDF on a large sized page setup scaled to ‘Actual Size’ and open the file in a vector graphic app, such as Adobe Illustrator, to tracing manually or by using the image trace tool. How do I uninstall the program from my computer? The uninstall file is located in your Garment Designer/Stitch Painter folder on your computer. Don’t forget to delete any icons on your desktop or dock if they remain, as these will be linked to the program. Select the program you want to remove. If you plan on reinstalling the program onto a new computer, view the compatibility chart above to make sure your version is compatible with the operating system on your new computer. Please contact us if you have any questions at info@cochenille.com. How do I find my unlock code? The company who supported the PECT numbers and unlock codes is no longer in business as of 2009. They were still giving support for a few years following until 2012 when the unlock codes were no longer available. Back in 2009 we had to do an upgrade due to this and due to the changes in updated operating systems. We now use a USB security HASP key, sometimes referred to as a dongle, to operate our software. This must be plugged in whenever using the software. You would need to purchase an upgrade for Garment Designer or Stitch Painter. With the upgrade purchase you will now receive a USB security key (which has taken the place of our unlock codes) and a program installation disk. There are files in my SP or GD folder that won’t open, why? The files that are in the program folder are code files that are needed for the program to run, sometimes the computer will give it an icon for something that it isn’t like a movie or an excel file. The only files that you should double click on to open are PDF files or the actual application file. Can I add or subtract points on the pattern or cut through a style? 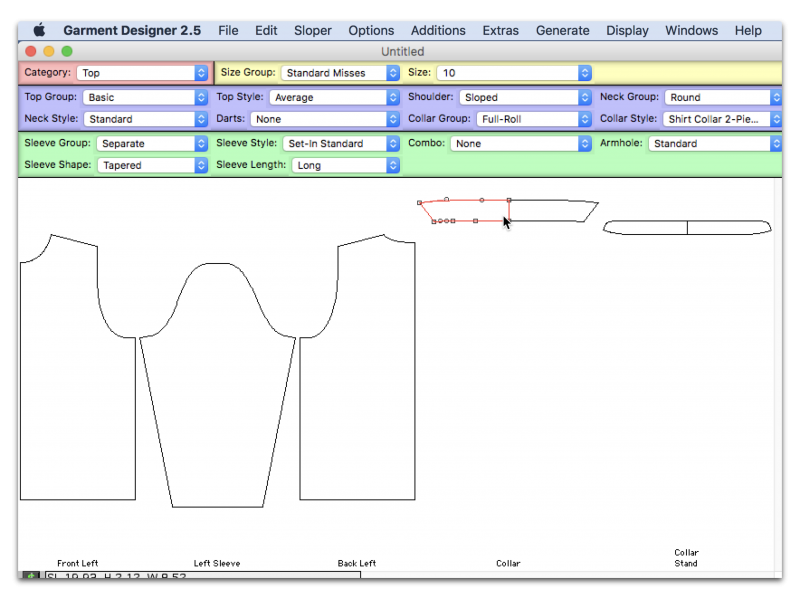 Currently Garment Designer does not have the option to add or subtract points, or change straight/curved segments. You will not be able to cut through a style set. As a work-around, if you wanted to add more points to achieve a style, you could try selecting a style with more points and then modifying the pattern to your style and fit preferences. Style Sets 1 & 2 both contain certain styles with more points. Can I save a Garment Designer Pattern as a larger size PDF for plotter printing? 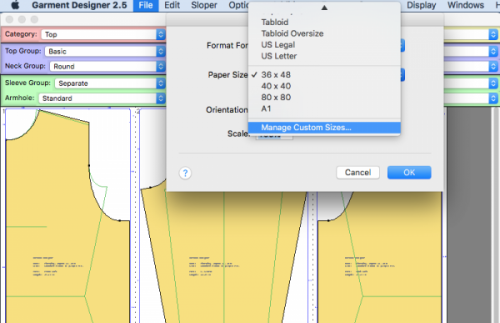 To resize your pattern to a larger size you will need to go to “File” and then “Page Setup” and set your paper size. You may need to set up a custom size if you do not see the paper choice you wish to use. Be sure to have the pattern scaled to ‘Actual Size’ under the Display menu. 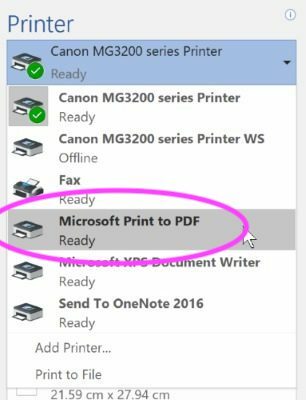 For Windows 10 users, simply go to File > Print > then select ‘Microsoft Print to PDF’ as the printer. 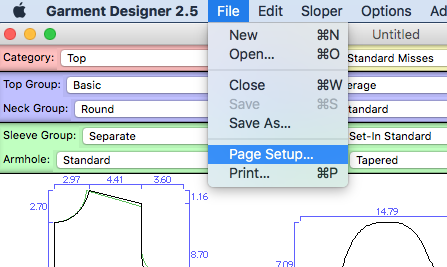 Before you save to PDF you will need to go to “File” and then “Page Setup” and set your paper size. Once you have done that you will go to “File” then “Print” and choose “Bullzip” as the printer. This will actually create a PDF so be sure to put the file where you can find it on your computer to print. If you have a plotter printer you would then open the PDF and send it to that printer. You can also save that PDF file to a USB storage device to print at any local print shop that offers a large plotter printer, call them ahead of time to see what size to setup as your paper size. If you don’t have a memory stick you can always get the print shops email address and email to print. 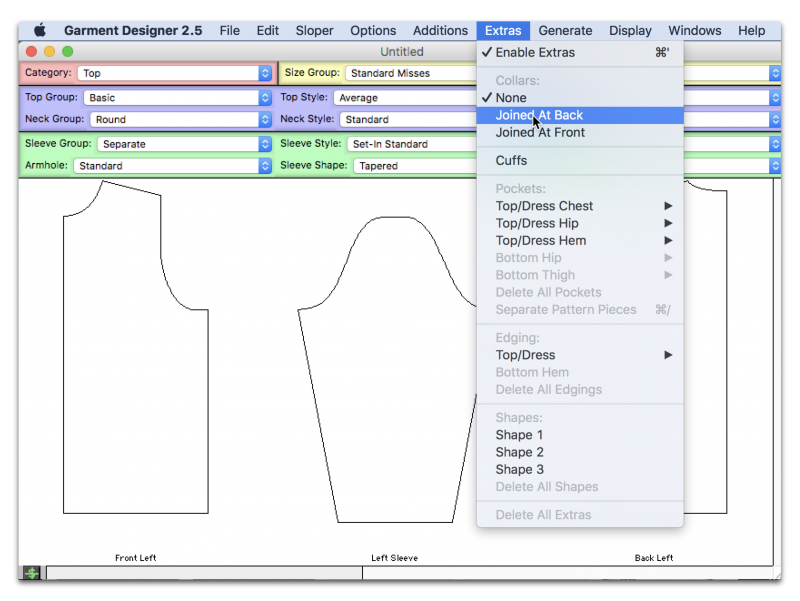 Garment Designer does not nest graded patterns together, but if you are just looking to change the size for a given pattern you have already made on Garment Designer you can open the pattern, save a copy (for your new size) then select the new size (or change whatever specific measurements you would like to on the edit sloper menu) and it will update the pattern to the new size. Can you change the unit of measure from Inches to Centimeters? You can display the dimensions of your pattern by going to Display > Show Dimensions. How do I find the Hood option in Garment Designer? The hood is considered to be in the “Collar” group. Go to the Extras menu and under Collars you will choose” joined at back”. This will create a new menu option below. Under “Collar Group” you will choose “hood”. You then have 3 different “Hood Styles” to choose from. Please see your Garment Designer manual in section 8-25 for more information. How do I find the Two-Piece Collar in Garment Designer? Go to the Extras menu and under Collars you will choose “joined at back”. This will create a new menu option below. Under the Collar Group menu you will choose “Full Roll”. You will find the “Shirt Collar 2-piece” style under the Collar Style Menu. Note: The collar length will match the measurement on the neckline of your pattern. The neckline is the commander and the collar is the follower. As you change the neckline the collar will follow, but not the other way around. This error message can come up for many different reasons. 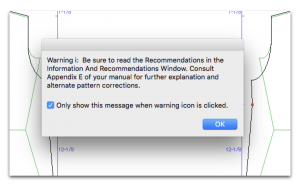 Please email us at cdstech@cochenille.com or info@cochenille.com and explain to us what you were trying to do or what you were doing right before the message came up. You can also send your pattern file to use via email and walk us through what you were doing before the error message came up so we can try to recreate this message and find a solution. Please make sure to have the USB HASP driver installed or updated. You can find information on how to do this in our FAQ section. • Make sure the key is plugged all the way into your port and the red light in glowing at the end of the key. Take your key out and plug it back in to be certain. • Try several USB ports as you may have a port that has stopped working. • Sometimes it can take time for your computer to acknowledge hardware that you have connected to your USB. Try waiting for 5 minutes before opening your program. You are receiving error code H0009 because your HASP key driver was not installed or you need to install the most current version. Sometimes when users install updates or users update their operating system it can cause the compatibility to be lost with the HASP driver, you would simply need to re-install or update the HASP Driver. You can find information on how to do this above in our FAQ section. 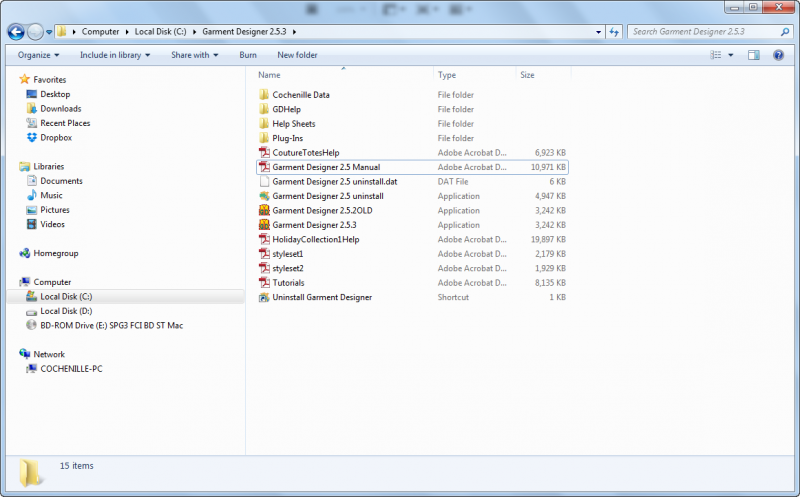 Make sure that you are saving your file to a designated folder that you have created for your designs that is not located in your program folder and that you have the correct permissions to save to. Please also ensure that your pattern name does not exceed 32 characters. 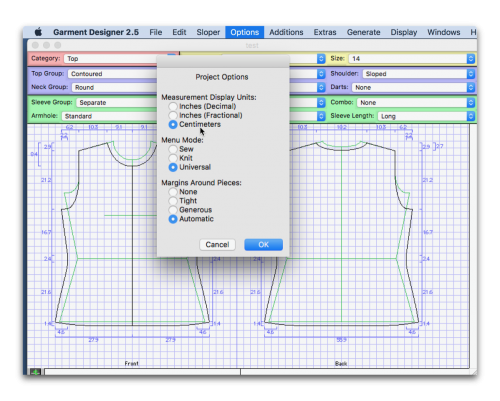 Check to see if you are using a valid shortcut, linked to a working Garment Designer application. You can always delete the shortcut. Go to your program folder and create a new shortcut or alias to be sure you have a working shortcut. On Windows this can also appear when a file has been corrupted or if the user has moved/copied program files around incorrectly. You can re-install the program or run a system file check to try and repair the corrupted file. How do I know if my Style Sets are installed on Garment Designer? There are a few quick ways to tell if your Style sets have been installed. 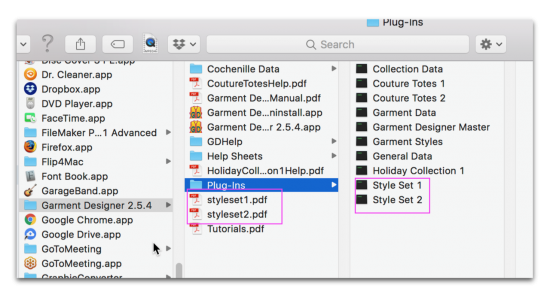 In this Garment Designer folder you should see Style sets 1 & 2 manuals. These would not be installed if they were not on your program disc. 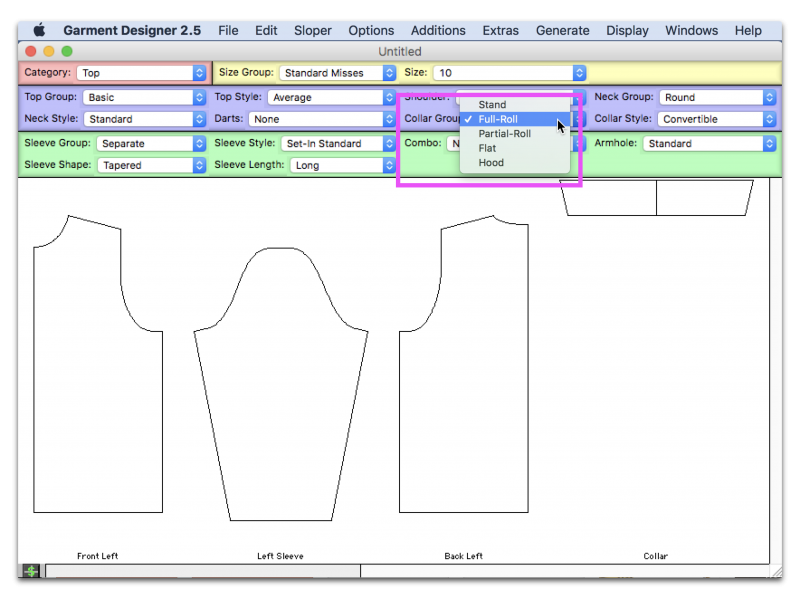 The manuals show where to locate the specific styles while in the Garment Designer program. 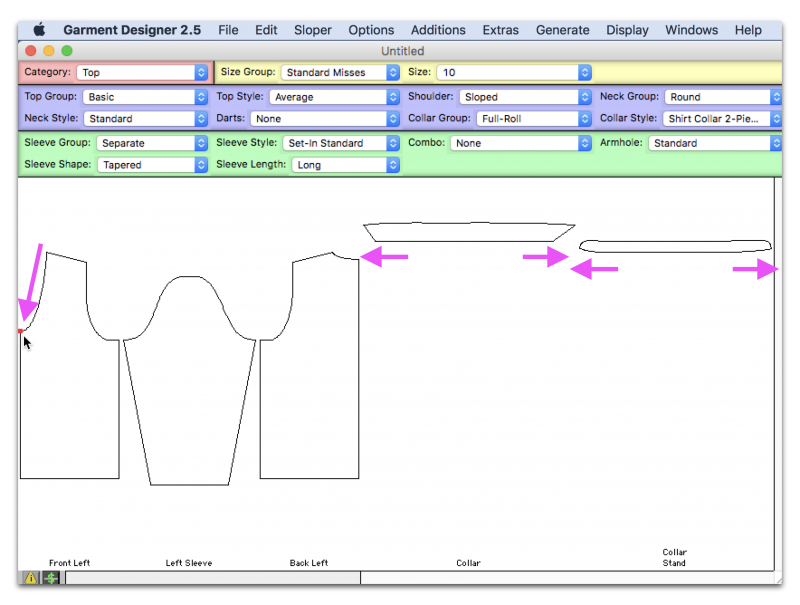 How do I find my Couture Totes or Holiday plug-ins on Garment Designer? 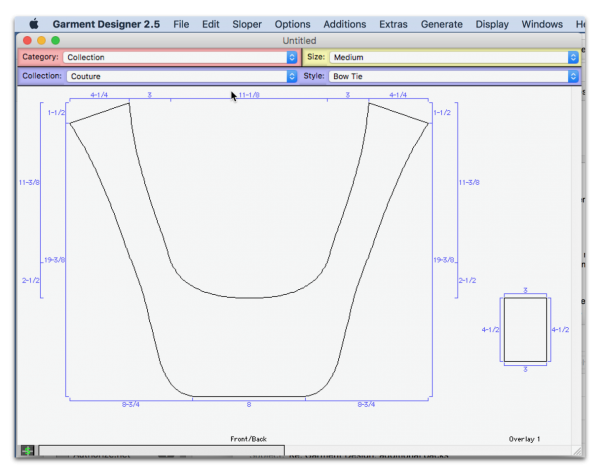 You can find the Manuals for these plug-ins in your Garment Designer Folder. The Couture totes manual will also contain sewing instructions. How do I find if my plug-ins are installed on Stitch Painter? To check to see if your plug-ins have already been installed, open the program, click on Plug-ins and see if the following menu looks the same as below. The titles will be greyed out because they are titles, the options for the plugins are listed below the title and become black when selectable/the plugins are installed. 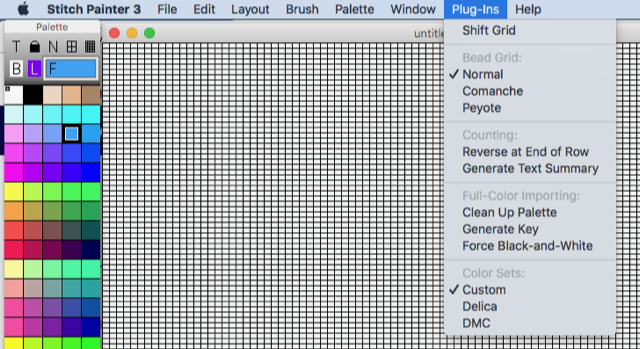 You can find the manuals for your installed plug-ins in your Stitch Painter Folder. Where are my tutorial videos for Stitch Painter 3? The Tutorial Videos for Stitch Painter 3 are located on the Stitch Painter DVD you received with your order. You can watch them directly from the DVD. You can insert the DVD and copy the file to your computer if you like, but it is a large file. If you have our other software program, Garment Designer, we do not have tutorial videos available on the DVD. 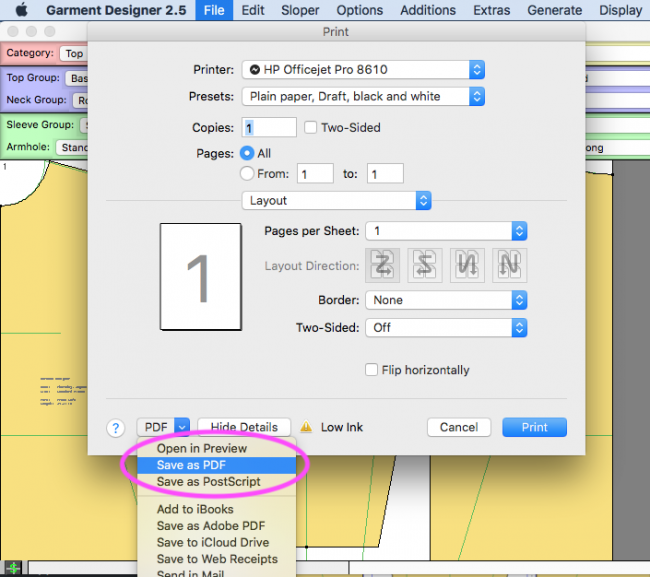 You can find .pdf tutorials in your Garment Designer folder in the ‘Help Sheets’ Subfolder. Can I use Garment Designer for creating and selling patterns? 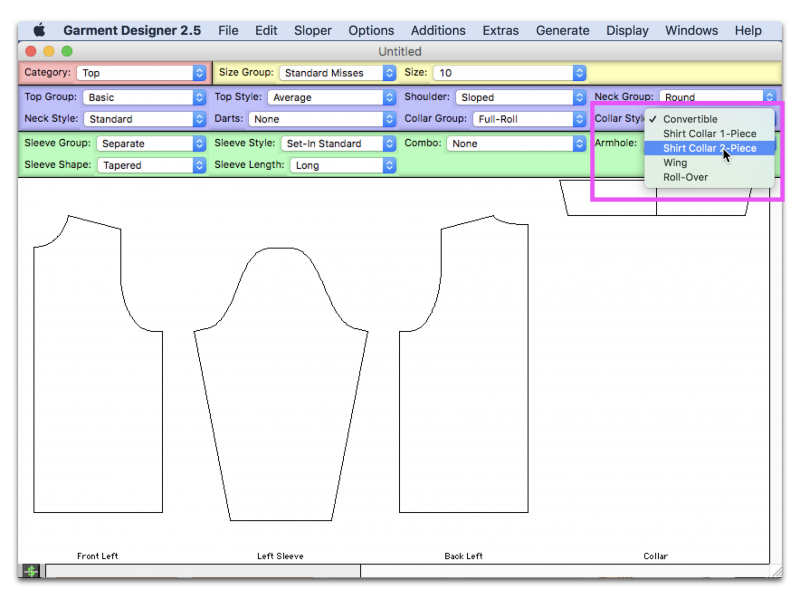 Cochenille Design Studio welcomes users to use Garment Designer software to develop and sell patterns of their own original design, using our software as a tool. Exclusions to this include: Using our Collection patterns (such as Couture Totes, Holiday, Origami) and selling those. These collections have sewing instructions included and are considered to be our own pattern collection. 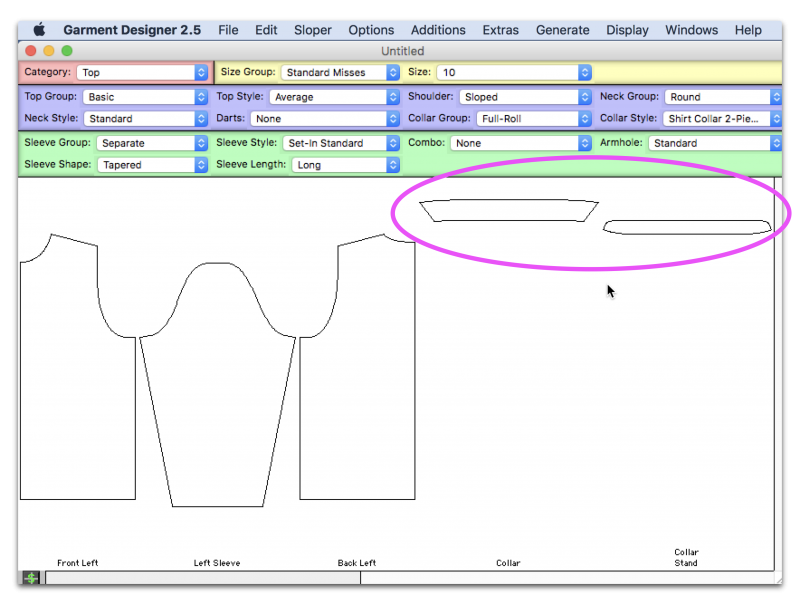 Can I use Garment Designer to create knit patterns for both hand and/or machine knitting? 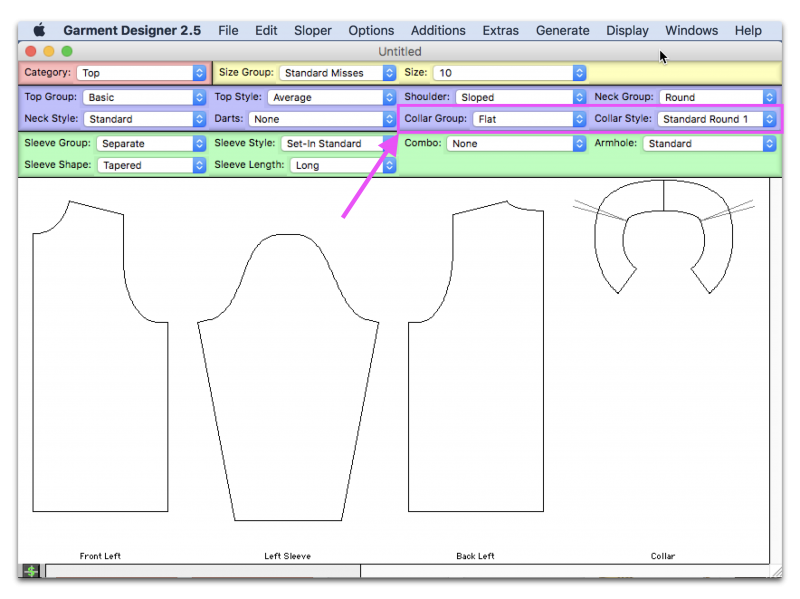 Yes, Garment Designer is an excellent tool for creating knit patterns, as well as sewing patterns. If you already have Garment Designer, please refer to your Garment Designer manual for more information about knitting. Appendix C will have must read information on how to use the shaping instructions. We also suggest going through Tutorial 3 in your manual to gain more knowledge about the knitting with Garment Designer. Print a full-scale, half-scale or quarter-scale pattern which may be used for sewing and for blocking knit pieces. which can be used by knitters or weavers. Can I view/submit any examples of Garment Designer-made projects? Do you want to share your project with us and our followers? We would love to see what our creative customers are up to! Please email us pictures at info@cochenille.com, make sure to include a little bit about your project. We would be thrilled to hear how you use the software. Can I import images or patterns into Garment Designer to trace or copy? Garment Designer can not import or open any external files. 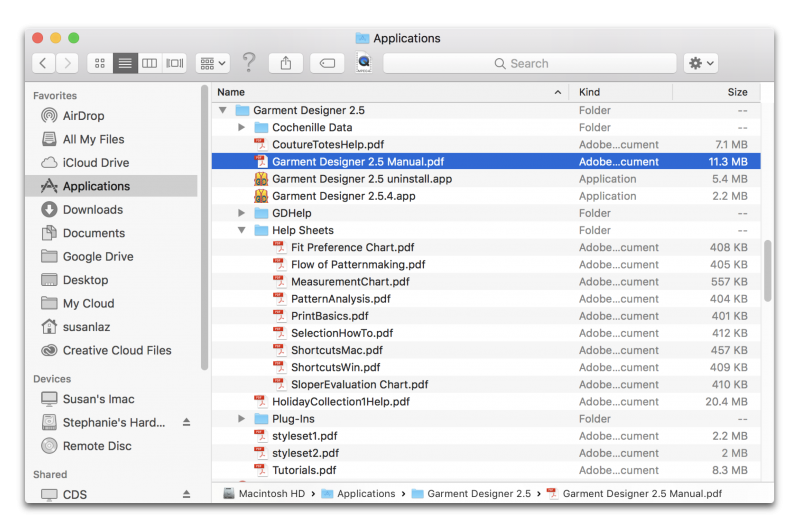 Garment Designer will only open Garment Designer pattern files and will only save Garment Designer pattern files. PDF’s of the patterns can be saved from Garment Designer. 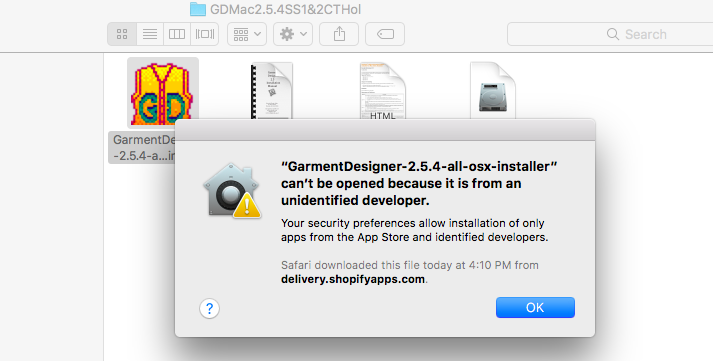 I am unable to enter my PECT code code for my older version of Garment Designer, why? The company who supported the PECT numbers and unlock codes is no longer in business. They gave support until 2012 when the unlock codes were no longer available. We now use a USB security HASP key to operate Garment Designer 2.5. This must be plugged in whenever using the software. 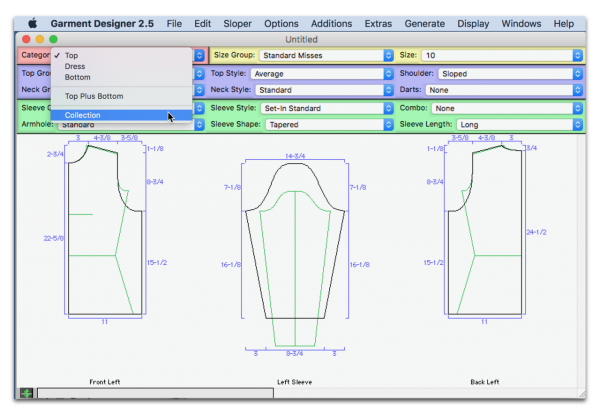 You would need to purchase an upgrade for Garment Designer, as Garment Designer version 2- 2.1.3 will no longer operate.